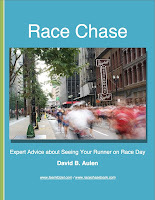 Last week the internet was buzzing with rumors of new runDisney running events over Marathon Weekend in January 2014. It seems they were going to add a 10k race to the weekend and also officially recognize the Dopey Challenge. 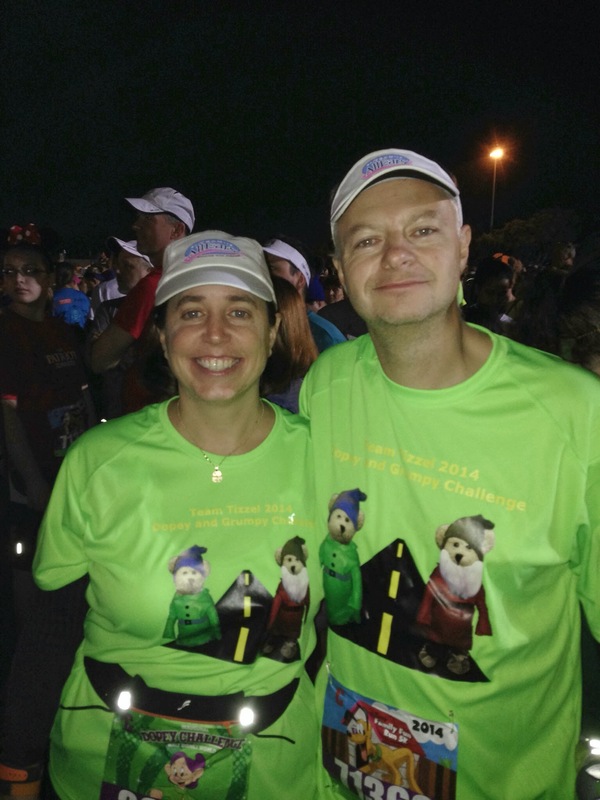 The Dopey Challenge was unofficially named by the Disney running community. It consisted of the 5k on Friday and then the Goofy Challenge on Saturday and Sunday. For those that follow along you know that the Goofy Challenge consists of the half marathon on Saturday and the full marathon on Sunday. I have been unofficially Dopey three times. On Friday afternoon runDisney broke the official news that they were adding some things to the weekend. First they are moving the Family 5k to Thursday. Then they added the Marathon Weekend 10k. 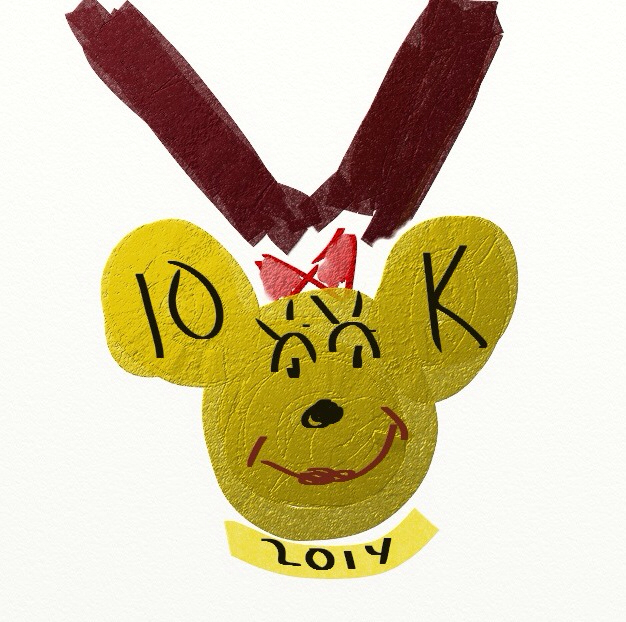 This is going to have a Minnie Mouse themed medal. I predict a pretty quick sellout for this one. Finally they are adding the official Dopey Challenge. 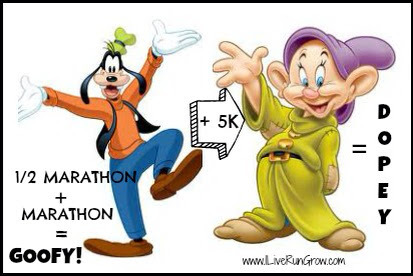 To get the coveted Dopey medal, you must complete the 5k on Thursday, the 10k on Friday, the half marathon on Saturday and the full marathon on Sunday. That is Dopey, right?!?! The entry fee for the Dopey challenge is a whopping $499. BUT you do get six medals and six shirts and you are racing in four races through the Disney parks. If you are wondering, I hope to be among the first to sign up for the Dopey Challenge when registration opens at noon on April 9th. Wish me luck! !